A little-known federal agency charged with protecting the right of government workers to organize is refusing to recognize its own union. 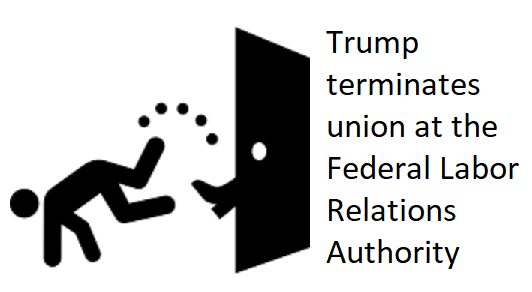 Colleen Kiko, who was appointed by President Trump in 2017 to chair the Federal Labor Relations Authority, unilaterally terminated the staff union’s contract upon its Dec. 21, 2018 expiration. The UAE represents about 50 agency workers, mostly lawyers who handle labor-management disputes for 2.1 million non-postal federal workers, a figure that includes thousands of IBEW members employed by the federal government. Two years after the Civil Service Reform Act of 1978 established the FLRA, the agency recognized and began bargaining with the UAE. Nearly 40 years later, Kiko has seized on language in the statute permitting federal unions, arguing that it “categorically exempts” FLRA employees from the same rights that protect employees in other executive branch agencies. “This is yet another assault on workers by an administration that has attacked unions from Day One and has abused executive orders to derail protections for federal employees,” International President Lonnie R. Stephenson said. The FLRA’s work had been hampered long before the shutdown by the Trump administration’s failure to nominate a general counsel, leaving the agency without anyone to prosecute unfair labor practice claims on behalf of federal employees, unions, and agencies. Kiko’s argument against the union is correct to the extent that the Civil Service Reform Act did, in fact, exclude the FLRA and a handful of other agencies, including the CIA and FBI, from its worker protections. However, as the Bloomberg article explains, “the agency and its employees created a helpful workaround,” one that the Justice Department affirmed in a 1980 advisory decision. It called for FLRA to recognize UAE, while barring the union from pursuing unfair labor practice complaints through the agency, which was seen as a conflict of interest. But the union could take certain disputes to nonbinding arbitration. Still, the union has been able to win better benefits and protections for its members. In recent years, for example, the FLRA has agreed to cover lawyers’ bar fees and update performance review standards.